Arif Khan’s story is a great example of how cross-industry collaboration can lead to greater success for everyone — higher quality beans for chocolate makers and long-term business for small-scale farmers. When you imagine the tropical, volcanic archipelago of Fiji, you probably think of kava rather than cacao. Just a short thirty years ago, however, the Fiji Islands were a haven for the production of this coveted commodity. The history of cacao in Fiji can be traced back to the 1880s when British colonizers first introduced the crop to the islands. A subtle relic of this colonial legacy remains on the country’s flag — the British lion pictured in the coat of arms holds a cacao pod in its paws. The flow of Fijian cacao peaked at around 500 tons in 1987 and gave way to an ebb so deep the industry virtually died out. This crash occurred largely due to the fact that the government had monopolized the purchase and distribution of cacao in Fiji. When the country’s markets dried up in the midst of political unrest in the late 80s, the government simply stopped buying cacao from its nation’s farmers who were then left with no means by which to sell their beans. Cacao trees planted in the 1960s as part of a government effort populate the island still today, though many are left untended. In 2012, he met several farmers on Fiji’s largest island, Viti Levu, who were “passionate about cocoa farming” but struggled to find markets for their products. The distinctive flavor profile imparted by Fiji’s unique terroir impressed Khan and his wife once they tried a bar made of their beans. These events inspired him to move back to his home country and make it his mission to help revive Fiji’s cacao industry. That’s how Cacao Fiji, Khan’s cacao farming, processing, and trading company, was born. Essentially starting from scratch, Khan exercised great patience and persistence in his effort to trial-and-error his way into the industry. Arif “started off buying beans from farmers” that varied in quality. He made a breakthrough in the caliber of Cacao Fiji’s beans after receiving valuable feedback from David Senk of Areté chocolate. David, a handcrafted-single origin chocolatier, sources from about 20 different origins, each with a distinctive flavor and story. He believes in a “pay it forward” approach to trade, by contributing support and feedback to new producers and makers who desire to enter the market. He was intrigued by Khan’s story and could see the potential in what Arif was trying to do. After tasting his beans he suggested Arif find someone to help him improve his fermentation process and gave him some reading material on fermentation and drying. Essentially he said “see if you can get that worked out and, when you do, send us another sample of beans.” David’s feedback allowed Arif to troubleshoot his methods to improve quality and it was Arif’s willingness to improve that solidified their relationship. 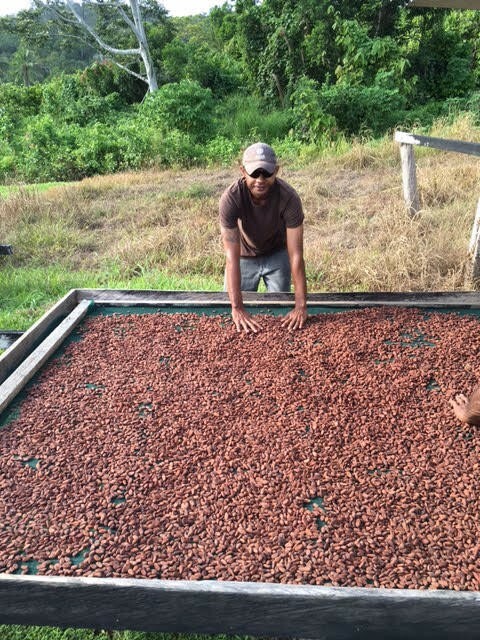 David describes Cacao Fiji’s beans as “beautiful…inside and out”. 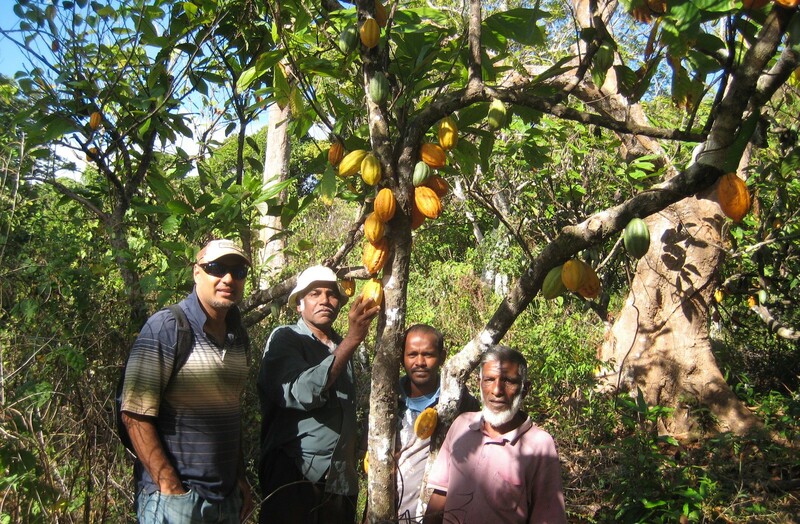 Khan continues to be committed to Cacao Fiji’s growth. 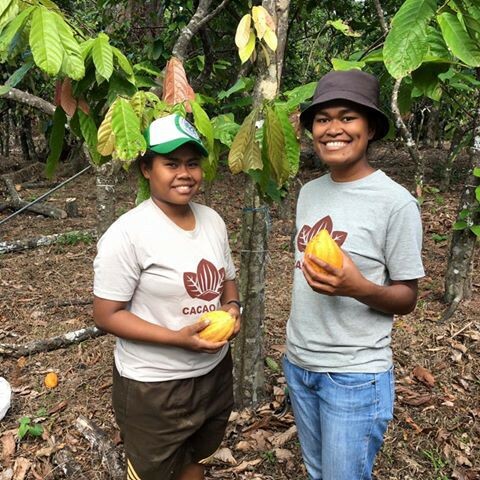 Most recently, Cacao Fiji has been working closely with Mataswalevu Cocoa Farm which has a 400 acre capacity but is now focusing on around 50 acres while planning to expand. He is working with farmers to identify more suitable land and hopes to soon establish a centralized fermentation facility. All in all, Arif is very optimistic about helping “cocoa farmers continue to farm something that they are passionate about and continue the legacy of their forefathers.” These are exciting times for this new origin. After only a few months on the Yellow Seed platform, they are quickly gaining the deserved attention of some serious chocolatiers. 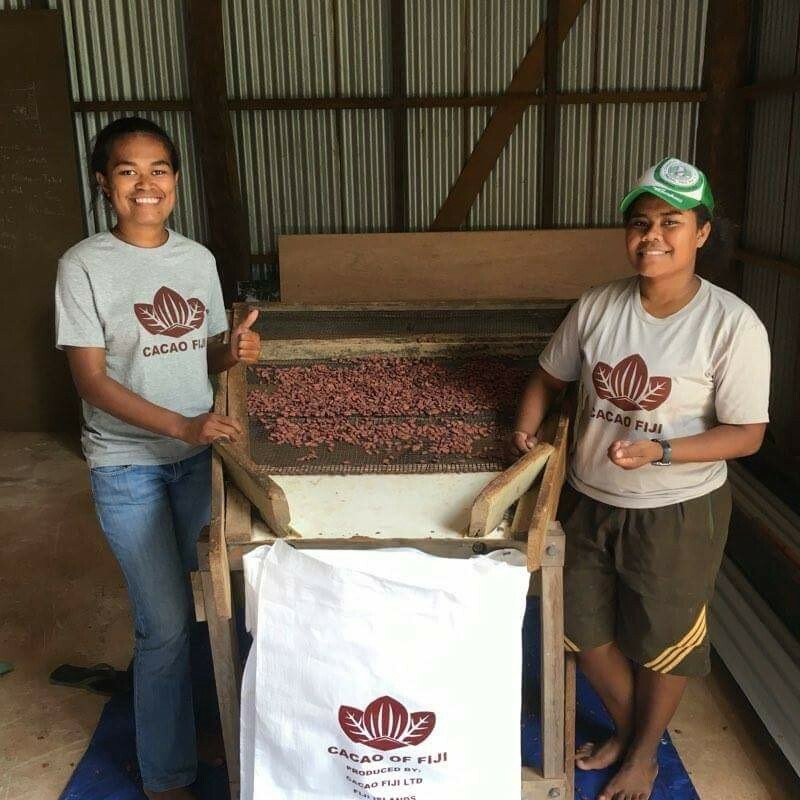 By purchasing beans from Cacao Fiji, you can help Arif fulfill his personal goal of helping farmers secure viable livelihoods by growing cacao and in turn regenerate his country’s cacao industry. And Arif’s favorite thing to pair with chocolate made from Fijian beans? Kava, of course. Want to learn more about Cacao Fiji? Check them out here on Yellow Seed. About the author: Polly Golikova, Yellow Seed’s marketing intern, believes that telling stories is the most effective path towards transparency in the food system, especially when they emerge from as close to the origin of production as possible. Polly studies Sustainable Agriculture and Food Systems at UC Davis and is convinced that food is one of the most powerful vehicles for social and environmental justice.